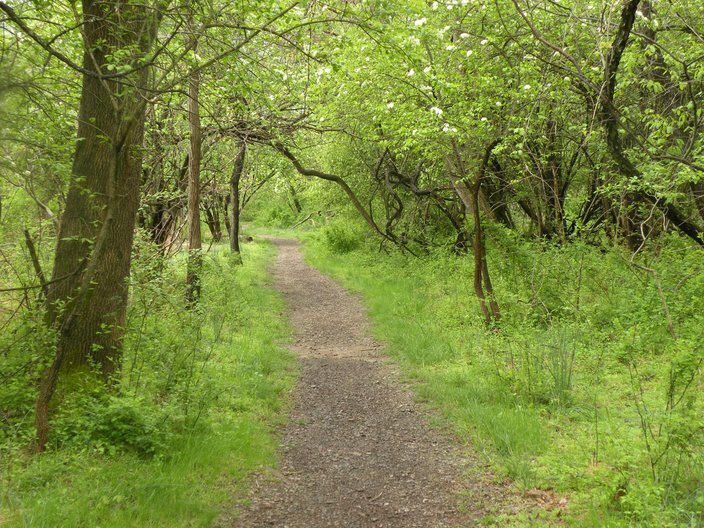 This 12.6-mile hiking trail that starts out in Upper Gwynedd Township and ends in Whitemarsh is a prime opportunity to burn some serious calories while discovering wildlife and diverse greenery in a calm setting. The best part is that there are sections of boardwalk and cement stones so you can experience the wetlands and marshes without getting your sneakers muddy. On your walk, you’re bound to see a range of wildlife, from insects like monarch and red-banded hairstreak butterflies, dogbane beetles, and praying mantises, to awesome birds like yellow warblers, bluebirds, goldfinches, and song sparrows. The trail is also connected to several parks (like Fort Washington State Park), so you can rest and enjoy this suburban oasis at your leisure. Located in charming Doylestown, 27 miles north of Philadelphia, Peace Valley Nature Center has 17 lush miles of nature trails that wind through the woods and meadows near the quaint Lake Galena. You’ll have plenty of walking options amidst the gorgeous scenery, from paved foot paths to rocky hiking trails, and can make your workout as rigorous or leisurely as you’d like. Along these trails, you’ll see an array of colorful bird species, particularly cardinals, woodpeckers, finches, and sparrows, and you may even spot larger animals like deer and groundhogs. Most notably, as the spring season starts to bloom, you’ll have the chance to surround yourself with vibrant flowers, like lilies, asters, and sunflowers. Enjoy the natural beauty and sense of peace that pervades this lovely nature center! Once part of an old railroad that dates back 140 years, the Perkiomen Trail extends for 19.5 miles of rich history (and beautiful sights). 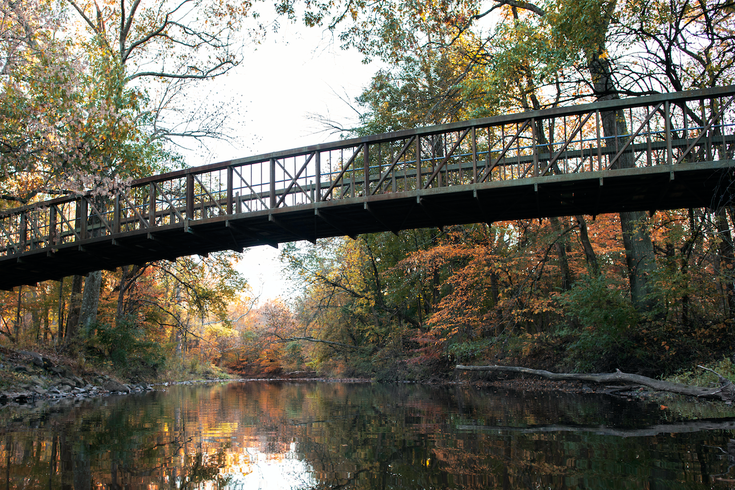 Nestled along the tranquil Perkiomen Creek, this trail consists of varied terrain and provides its visitors with a diverse, scenic landscape of greenery, community, and calm water. 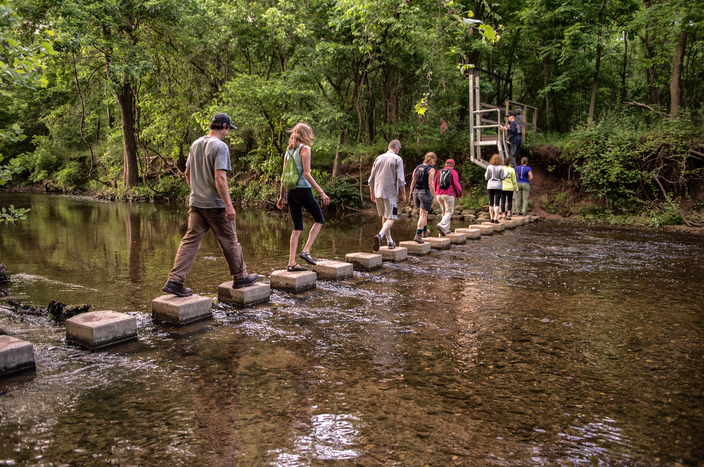 Along this lengthy trail, you’ll pass through Montgomery County town centers, rural neighborhoods, lush wooded areas, and parks — there’s no shortage of variety for your walk here. Where the loop connects to the Schuylkill River Trail, you can even visit historical grounds at the Valley Forge National Historic Park, where George Washington and the Continental Army retreated in 1778. What better way to exercise than with history and serenity by your side? Immerse yourself in the unique scenery of the Philly suburbs to spruce up your workout and get in the exercise that you need! When you add something that you enjoy to your workout, you may find that it’s easier to stick to your exercise regimen.